We made this a few days ago. 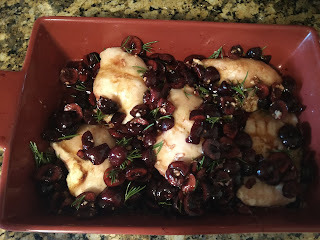 The cherries go sooo well with the chicken and it's a super easy, fun and quick recipe. The result is very delicious and it looks beautiful also! In addition, it made for great lunches for the next day as well. Rosermary Cherry Chicken with Couscous! 2. Place all ingredients into an oven safe dish and mix together. 3. 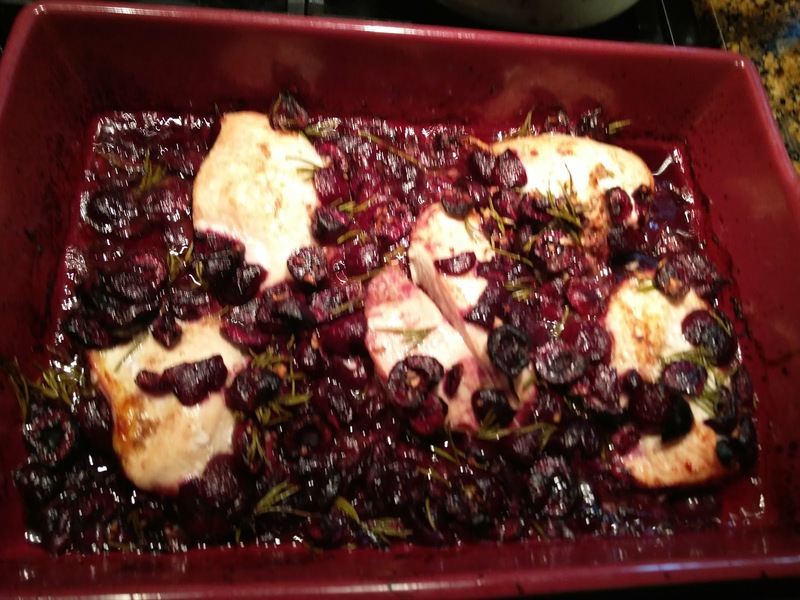 Bake for about an hour or until chicken has cooked through. For us, it was about an hour since we put them in frozen. 1. 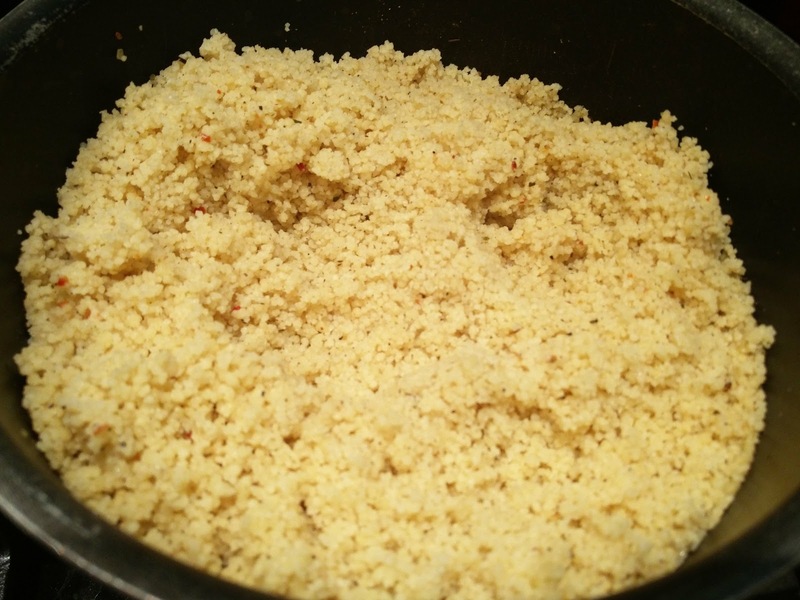 Bring water with butter and spices to a boil. 3. Turn off heat and cover. Let stand for about 5 minutes and fluff with fork before serving. The flavor combination was pretty incredible. The time to prepare was also very short. It took the longest to pit the cherries, but overall the prep time was minimum. We used the rosemary from our garden! No change! 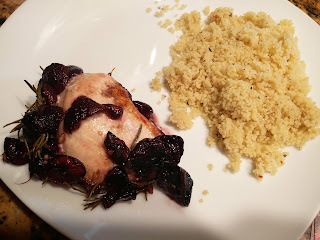 This is a great dish!